Combining text with images is not only fun and engaging for your participants, it’s also effective! 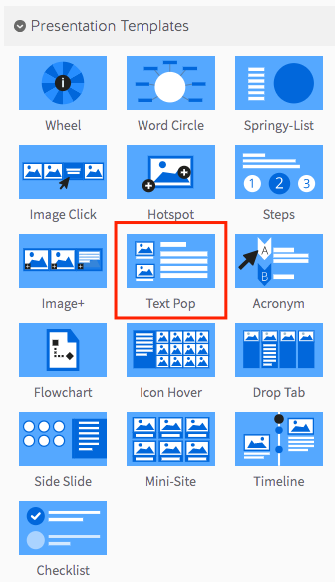 The Text Pop Template is the perfect tool for adding graphics and other visuals to your eLearning courses. 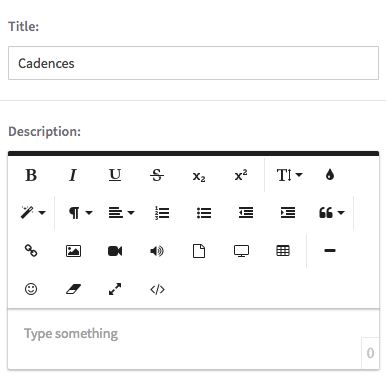 Step 1: Select the Text Pop Template from the ‘Presentation’ panel. Step 2: Drag your Text Pop Template into the Lesson Pathway. 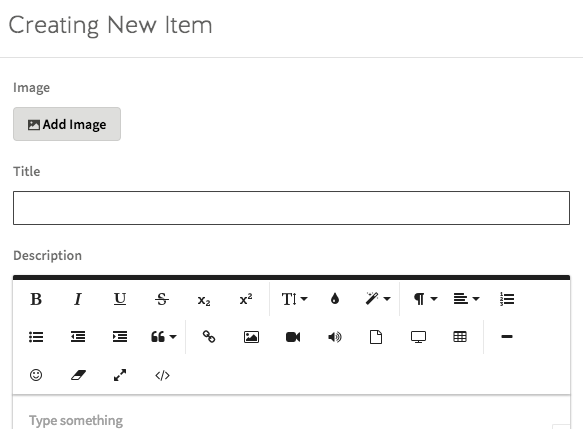 Step 6: To start building your Text Pop Template, select the green ‘Add New Item’ button. Image Tips: We suggest trying an image of around 300 x 200 pixels in size. However, you can make your image any height you choose in order to conform with your subject matter. If you add more items, you’ll need to make your images smaller to fit on the screen. Step 8: When you’re done adding text, select the green checkmark to save your changes. Note: To add additional segments, simply repeat the process.